I was born and raised in Dayton, Ohio. I've been a professional chef for over 20 years, motivational and keynote speaker, a therapeutic provider for MRDD and individuals with mental and behavioral disabilities. A transformational life coach in conjunction through my website zoeylifesite.com, a published author and above all a faithful husband, father of triplet toddlers and a humble servant of God. Early in my childhood at the age of 5, I was struck by a car, causing severe damage to my frontal lobe; thankfully I survived. Upon this near death experience, I was given very specific instructions within the Holy Spirit upon healing. I've held the dreams, visions and secrets for over 40 years, protecting me from the mind-numbing traumas of physical/mental and sexual abuse. Surpassing depression, homelessness, oppression and being shot not once but twice on two separate occasions (escaping the possibility of never walking again). These and a slew of many other atrocities that plague the world. Needless to say, I've made it, time tested and abundantly approved! My inspiration for writing is to share my spirit-filled wisdom and leadership by example, for those who desire a life of true freedom, abundance and happiness! 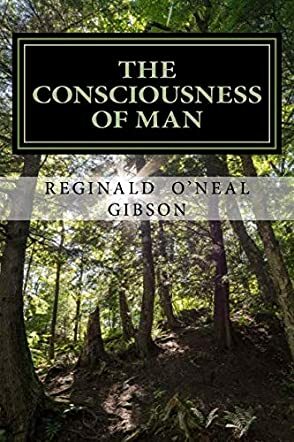 The Consciousness of Man: A Guide through the Darkness by Reginald Gibson is a truly thought-provoking book covering every aspect of the meaning of life. The author suffered a horrific car accident and, through his brief encounter with the spiritual world, he has received the most amazing insights and wisdom. He has a clear understanding of his life's purpose and, by reading this book, you are able to discover your own purpose. As you navigate your way through this book, you will ask yourself some real in-depth questions about your life. Be prepared to have your mind blown with revelations from the author's 40 years of visions and mysteries of the human mind. This book will hook you from the first page. The insights into what we deem is our reality are dissected by the author and questioned intelligently. I was overwhelmed by the perceived perception of something because of the information we are fed by politicians and the media. The author's description of his near-death experience was amazing and so detailed too. I read this book for the most part open-mouthed because of his fascinating wisdom and perception of the human mind. There were many ‘aha’ moments throughout this book, but my favourites were ‘A better question, is your path being pushed by insecurity, desperation, or fear? Even worse, is your path not your own, but rather one belonging to someone or something who will, as mentioned earlier, siphon your energy to fuel their progress?’ and the second would be the following series of questions I believe everyone should ask themselves before taking a person's advice, ‘First, why am I the target of their interest? Second, am I actually lusting or putting myself in the position to be taken advantage of? Third, what would I gain or lose by being persuaded? And last, what does this person gain out of convincing me to change my mind or the direction of my focused path?’ An absolutely superb read. This book grabs ahold of you and it is nearly impossible to put down. The author has a way of making you feel like your in the story. I could see and smell what he was describing through his storytelling. He used his life experience to draw me in and then related it to everyday life. This book is deep but compelling and I look forward to reading the next!